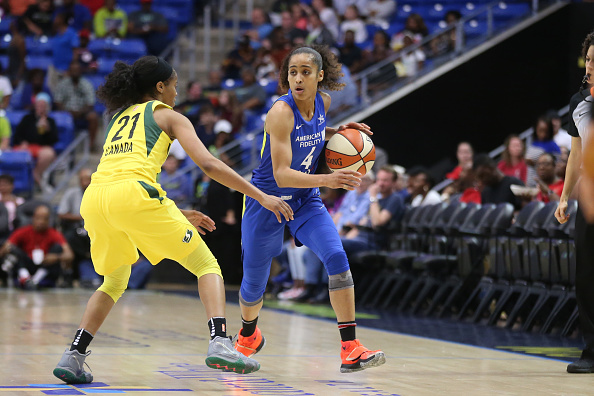 Skylar Diggins-Smith is as accomplished on the court as she is off. She is one of the more prominent faces in professional sports, and she has leveraged her name and brand into successful ventures outside of basketball. The precocious point guard is a household name, and most certainly can draw a crowd on and off the court. 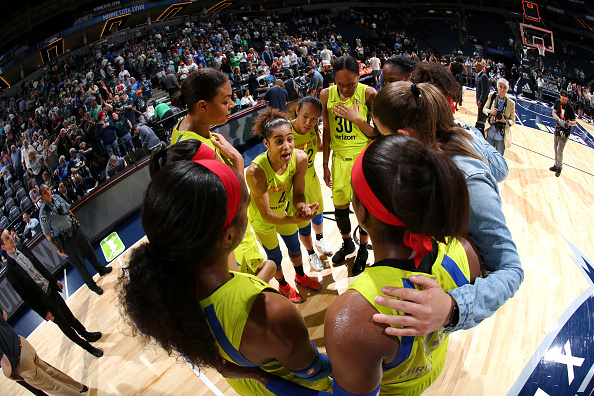 I can remember vividly the first time I saw her play during her senior year at Notre Dame under the tutelage of head coach Muffet McGraw and former Fighting Irish player and now assistant coach Niele Ivey. The arena was filled to capacity, as the Villanova Wildcats hosted the Fighting Irish in a closely contested Big East matchup. What stood out the most was her composure during the crunch time, and her competitiveness. She a relentless leader and it was easy to see the bright future that was directly ahead. Diggins-Smith possesses an it factor that cannot be taught, and is hardly understood. She is very conscious, strategic, and her business savvy would give any CEO a run for their money. I recently caught up with her on the road in the nation’s capital, and she was better than advertised. 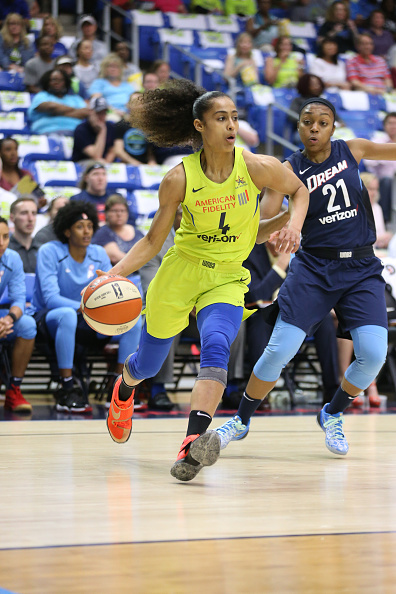 Skylar Diggins-Smith is as rare as she is talented, and her potential is limitless. You are a fierce competitor. Can you talk about what game day means to you? It’s another opportunity to compete. It’s what you put in all that work for: To be able to compete at this level, to be able to play in the games…all that practice is to play in the games. It’s all about execution to me and that competitive aspect, I think that’s what really motivates me. Just that competitive environment—being able to play against the best in the world every night and just take advantage of this opportunity to play in the league. Do you have any pregame or postgame rituals, like if you have a bad game you won’t wear those sneakers again? I wouldn’t say rituals, I probably have some routines, but nothing too…I wouldn’t say I was superstitious. I try to do things persistently, and do things consistently, put in consistent work as far as the floor…go through the same shots and drills on the floor before the game and just really harp on consistent work. But I don’t have to put on my left shoe before my right shoe…nothing like that [laughs]. You don’t wear a headband anymore, why is that? No, it’s pretty popular around the league, so you know I’m just going with the I’m-married-now swag! You always write GAAAAAAAAAAAAAME DAAAAAAAAAAAAAAY!! on Twitter and your college teammate Natalie Achonwa writes gameday shawtyy. Is that something you do to stay in touch with your fanbase? Yeah, everybody has their own swag, but it’s cool to show the excitement, and tell the fans that we have a game tonight check it out. We were on NBA TV so it’s cool—just telling them to go check it out, we have a game today, or just saying GAME DAY, just the excitement that comes through when you realize that it’s time. 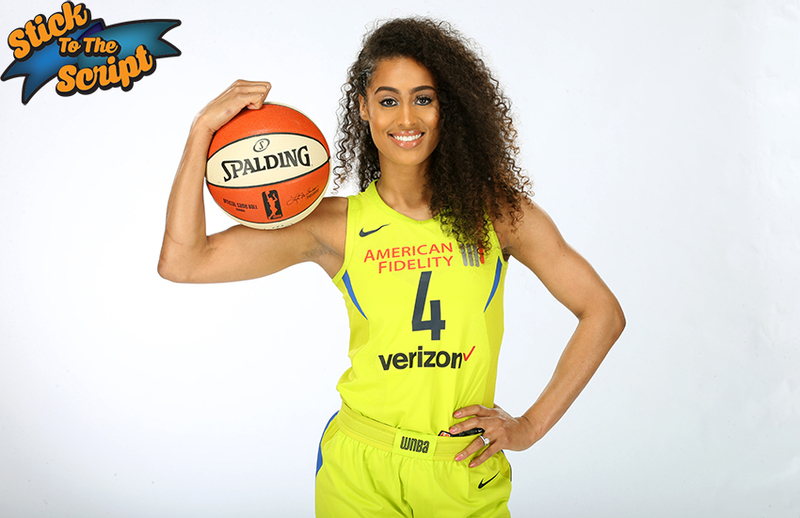 Talk about Skylar Diggins-Smith the entrepreneur. Are you just as fierce and competitive in business? Do you approach it like you do basketball? I think it’s two different worlds. I have a great team behind me at Roc Nation and I’ve built a great relationship with them and the team around me does a great job of bringing ideas and bouncing ideas off each other. It’s a family atmosphere, and we try to figure out the best things that work for me and what I like to do, and when to pursue and it’s just been working out for me. I don’t know what the formula is or the algorithm is, but I think being with my team and just trying to stay busy and stay productive. How did you get to PUMA? PUMA was actually something that came up for me, an opportunity that presented itself. What I like most about the brand is their commitment toward women and their commitment to culture. Being a lifestyle ambassador means a lot of things for me. Basketball is a big part of what I do [but] it’s not the only part. Being able to create, and incorporate that lifestyle, as well as the court, and sport is something I’m really excited about. I expect to be in that partnership for a very long time, and we’re just getting started. We have some hot stuff coming out and it’s going to be a great partnership. PUMA LIFE…there it is, there it is!